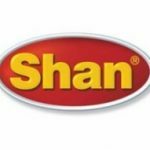 The following post is brought to you by our sponsor, Shan Foods, producer of premium spices, mixes, and ingredients from all over the world. Warning: So bad they’re good seafood puns ahead. We are all aware of the adage of beauty being skin deep. But let’s face it, the first thing we notice when we meet someone is their exterior beauty: his or her skin, eyes, scent, and what not. In short, we notice one’s presentation of self to the outside world. Exterior beauty is sometimes used as the first criteria for deeming someone worthy of pursuit in the world of dating, or even in an arranged marriage. Some may see this route of weeding out potential partners superficial—and perhaps it is. However, there is one place where your superficiality will not only prove useful but mandatory: your local fish market. In this market, you have to be privy to the exterior. In fact, if you’re not knowledgeable about what traits fresh fish should have, you’re basically throwing away your money! Shan Food figures Valentine’s Day is the perfect time to school you Bollywood style on how you can transfer your knowledge from the proverbial “meat market” to your local wet market. Eyes are windows to the soul… and sole—or any other fish for that matter. Look for clarity and brightness. Wouldn’t you be a wee weary of a date with dull, strung out, lifeless eyes? Expect no less of your fish. A fish with cloudy eyes is an indication that it is well past its prime. Your fish should also have bulging eyes. Eyes that are sunken in reveal a dehydrated fish, which means it spent more time dead and on ice rather than caught fresh and sold. There is perhaps nothing that poses as more of a deal breaker than a date who emits a foul odor. You wouldn’t want your date smelling fishy, right? Yet you think it’s OK and even normal for your fish to smell fishy? It’s counter-intuitive but, you shouldn’t think that. If you walk into a market and your first waft smells intensely of fish then be warned, the seafood is not fresh. Truly fresh fish should smell of the sea and have an almost briny scent. We notice a person’s skin right off the bat, too, amirite? Skin discoloration is not appealing to people—or fish for that matter. Both are at their height of attractiveness when the skin has a healthy sheen and flesh appears firm. Touching the flesh of your prospective fish is highly recommended if your fishmonger allows you to do so. If you press the flesh of a fish and the skin does not bounce back, you know you have an old fish on hand. You could, in theory, press the skin of your romantic prospective to see how firm his or her skin is though we strongly urge you not doing so on a first date. Finally, a truly fresh fish should have gills that are vibrant red, not brown. Your, date on the other hand, should not have gills at all, red or otherwise. If so, then I don’t know what to tell you, except that there are always other fish in the sea. Now that we’ve dropped all this knowledge on how to find a good catch, it’s time to cook! Don’t for a second think you can mask old, past-their-prime fish with masala. Cooking delicious fish, no matter if you’re frying, searing, or baking it, truly begins with using fresh product. We suggest using our tips above and adding quality spices to enhance your quality fish. 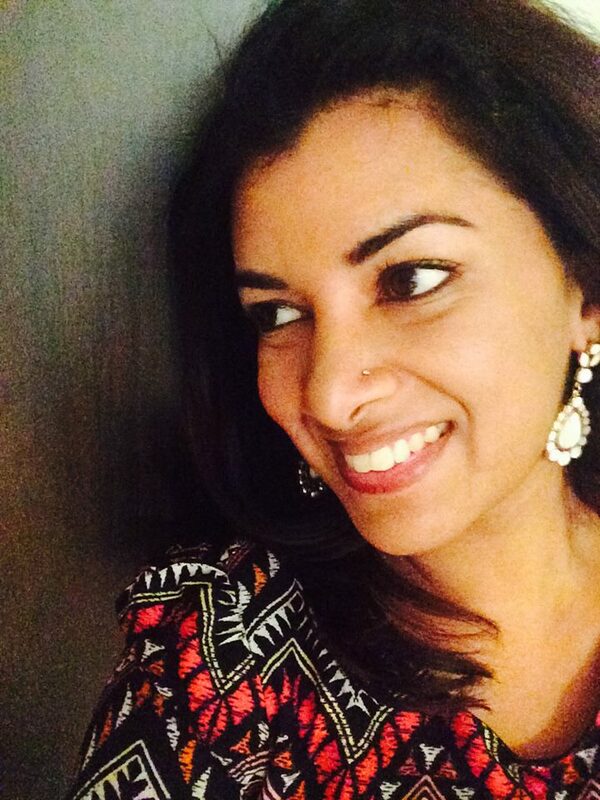 Need inspiration for delicious desi fish recipes? 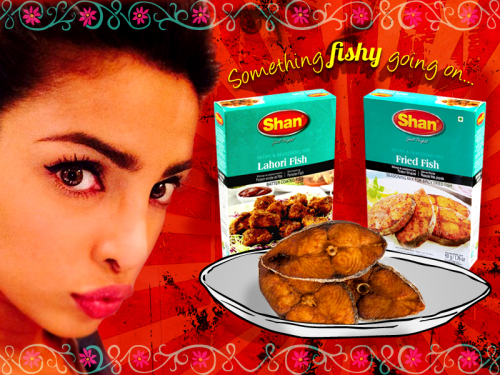 Click here for a recipe for Lahori fish to make batter coated fish. Click here for the recipe for spicy fried fish. Both recipes are so good we honestly don’t believe you cod do batter. Find more easy-to-make Shan Foods recipes here. Shan Recipes’ offer unparalleled expertise in taste of traditional cuisine. Procuring the best-in-class spices and ingredients from all over the world, Shan ensures pure and premium quality through manufacturing practices such as ‘Cryogenic Grinding’ and ‘V-lock technology.’. This enables the consumers to get the product in its purest form with the natural freshness, taste and aroma of the spices. 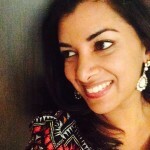 Soni Satpathy-Singh is a recipe writer and developer who resides in Manhattan. She is either always cooking or eating be it for work or simply because she loves to! She is working on her own cookbook and also recently created “Sketchy Desi” which provides daily humor, greeting cards, and apparel that celebrate brown culture. To see more of Sketchy Desi’s work, visit facebook.com/sketchydesi/ or stay tuned for upcoming posts on Brown Girl Magazine.